It would appear that our cheeky elf is desperate to be a part of our Christmas Nativity scene this year! 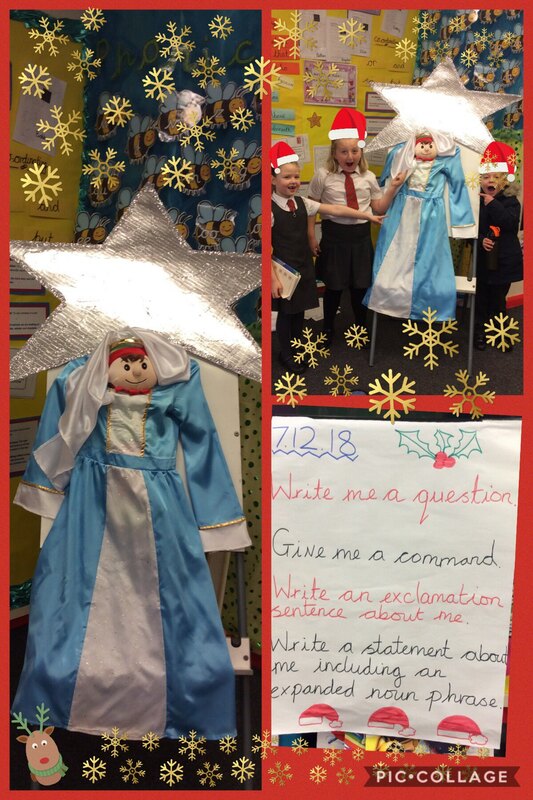 We arrived in our Year 2 classroom this morning to find him dressed as Mary and holding the Star of Bethlehem! We found this hilarious but some of us were a little worried about keeping our parts in our Christmas performance! Panic over though, the props have been returned to their rightful owners and we even had time to complete the elf grammar challenge too! What an exciting morning! This entry was posted in Year 2 and tagged English on December 7, 2018 by Sandford Hill. This mischievous elf is causing so much excitement around school!